The SD Housing Development Authority has lowered its interest rates for first-time homebuyers to the lowest rate in history. The interest rate for starting step rate loans is 2.75%. 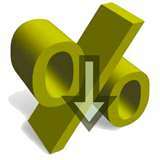 Fixed rate loans have been reduced to 3.75%, and the fixed rate plus option loan rate was reduced to 4.25%. If you are a business owner in the Miller area and these rate reductions help one of your employees purchase house, please let me know. I’d be interested in hearing the details.